PPG Industries was founded in 1883 by Captain John B. Ford and John Ford in Pittsburgh, Pennsylvania. Originally known as Pittsburgh Plate Glass Co., the company expanded quickly and now, 135 years later, PPG Industries has 156 manufacturing facilities in 70 countries and 47,000 employees. In 2017, PPG made total net sales of $14.8 billion, and the company is ranked 182 on the Fortune 500. The key coating markets served by PPG Industries are aerospace coatings, architectural coatings, automotive coatings (OEM and refinish), industrial coatings, packaging coatings, protective and marine coatings, and specialty coatings. In this article we look at PPG Industries and the coating sectors served by its brands including Glidden, Sigma, and Deltron. We will also delve into the coatings themselves, and PPG Industries’ plans going forward. 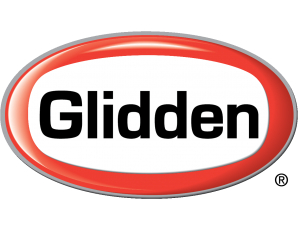 Glidden and Glidden Professional are PPG-owned brands. The decorative and architectural coatings market makes up over 40% of the global coatings market. In the US, 65% of the architectural coatings revenue is for residential end-users, with the remaining 35% due to commercial end use. PPG is a leader in the US domestic market due to its strong portfolio of brands and coatings. 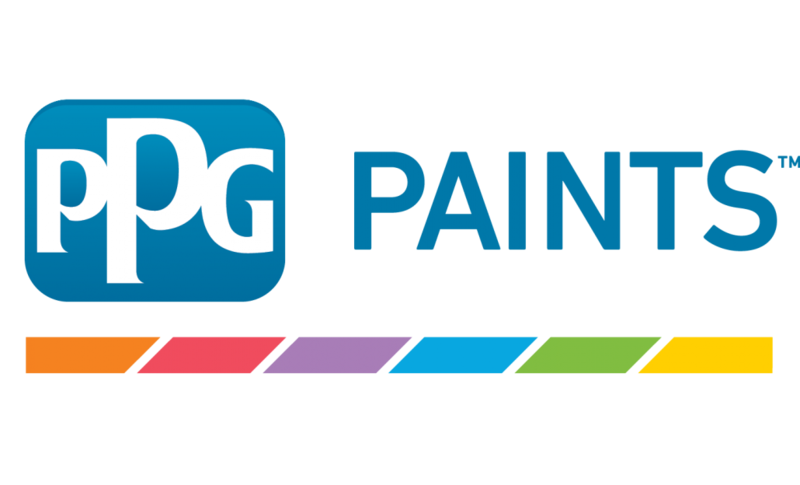 Brands include PPG Paints, Olympic paints and stains, Glidden paints, Sico paints and stains, and Dulux paints (in Canada). Across these brands PPG can provide the latest technologies and broadest range of colors for interior and exterior paints. These brands provide products through company owned stores, home centers, and independent dealers for homeowners and professionals. Below is a sample of the products manufactured by PPG. Glidden Glidden Premium Exterior Paint 100% acrylic paint to protect exterior surfaces such as siding and eaves. For wood, stucco, concrete, hardboard, fiber cement board, aluminum, vinyl, and metal. Olympic Olympic MAXIMUM Stain + Sealant in One A durable, tinted waterproofing sealant to protect wood against water damage, UV rays, abrasion, and mildew. For decks, fences, siding, and wooden furniture. PPG Paints Painter’s Friend Eggshell Interior Latex Wall and Trim Paint Professional quality interior, eggshell sheen, latex wall paint. For new or previously painted walls and ceilings in apartments, condominiums, and other commercial properties. The PPG Industries’ protective and marine coatings business delivers products for marine, offshore, oil and gas, mining, infrastructure, chemical, and power sectors. These sectors require the hardest-working, most durable, and fit-for-purpose coatings on the market. From infrastructure in bridges, airports, and stadiums to offshore power, mining, and pipeline structures, these coatings protect substrates in the most demanding and corrosive conditions and environments. For example, PPG Hi-temp 900 provides corrosion protection in high temperatures – it is heat resistant over an extreme temperature range from 300°F to 900°F. Amercoat 214 Marine coating A low-VOC ablative antifouling coating in red, black, or blue. Antifouling is achieved through the biocidal action of a high cuprous oxide content. Amerlock 400/SigmaCover 400 Protective coating A two-component, high solids epoxy coating for primer or midcoat applications. Low-VOC and abrasion resistant. Aquapon 35 Protective coating Polyamide epoxy gloss for heavy duty service in corrosive industrial atmospheres. For use on steel, galvanized steel, or aluminum, as well as masonry. Sigmaglide 1290 Marine coating 100% pure silicone binder fouling release finish coat. Biocide-free, provides performance up to 90+ months, low slime pick-up and easy slime release, and environmentally friendly. PPG is the global leader in automotive coatings. Two out of three cars made in North America and Europe today use PPG technology, and PPG is the supplier of choice for both OEM and bodyshops. With so much of the OEM market using PPG products it makes sense that PPG would also be a key provider for the automotive refinish and aftermarket. When the body of the a vehicle hits the paint shop, it goes through a coating process that takes it from bare metal to clearcoat. The five main steps are pretreatment, electrocoat, primer, basecoat, and clearcoat. PPG has a range of coatings for each step, including 2K Scratch Resistant and Diamond Coat clearcoat options. PPG also produces a ‘Compact Paint System’ which allows for a reduction in VOC emissions, energy consumption, and costs. The B1:B2 system eliminates the primer coat, combining the primer layer’s protection properties with the topcoat’s color. For the refinish market PPG provides coatings for collision repair, total respray, and commercial vehicle coatings in brands such as Amercoat. Commercial vehicles require more heavy-duty coatings to deal with the longer hours and rougher conditions they meet on the road. Fleet refinishes are also catered for. Coil coatings from Duranar are used for architectural purposes. PPG industrial coatings serves a wide range of industries including appliances, transportation, heavy duty equipment, furniture, and specialty UV coatings. The number and variety of substrates here is reflected in the wide array of coatings and brands. The technologies used in this sector include liquid paint, electrocoat, and powder coating in a variety of chemistries including alkyds, urethanes, epoxies, and acrylics. The performance and industrial coatings sector also includes PPG’s coil coating or prepainted metal coating line. Coil coating is a continuous and automated process of prepainting a sheet of metal (usually steel, galvanized steel, and aluminum) which goes from pretreatment to painting to curing at a rate of up to 700 feet per minute. These are used for storefronts, HVAC components, garage doors, and roofing. 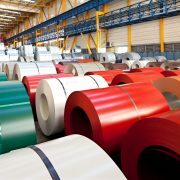 In high-performance coatings PPG produces a line of satin industrial enamels under the brand name Pitt-tech which are designed for corrosion, chemical, and solvent resistance for direct-to-metal application. For epoxy flooring they have Megaseal, a range of epoxies with varying properties for any flooring needs. Aquacron General finishes: electrical Durable, water-based primers and topcoats with ultra low-VOC content. For chemical and corrosion resistance. Duranar Coil coatings/architectural Fluoropolymer coil coatings which provide chemical resistance, corrosion resistance, and durability. Used for storefronts, roof panels, building panels, and more. Envirocron HTE Architectural and appliance coating High transfer efficiency interior and exterior polyester powder coating line engineered for wire and complex metal surfaces. Available in a wide range of colors and glosses. Selemix Aqua Line 8-552 Heavy duty equipment coatings A two-component waterborne gloss polyurethane enamel, suitable for steel surfaces. For industrial, construction, and agricultural equipment and machinery. Going forward PPG Industries plans to continue its focus on quality, performance, innovation, sustainability, and community engagement. Their sustainability goals include 40% of sales from sustainable products and processes by 2020 and a 10% reduction in total waste disposal intensity by 2020 from a 2012 baseline. They are also busily producing greener products that are designed with their vision of sustainability in mind – heat-deflecting coatings for airplanes to reduce the need for air conditioning, buildings coated in material that absorbs pollution, foul release coatings that are biocide-free, drag-free wind turbine coating. In 2016, PPG invested $487 million in research and development, and 30% of net sales were from sustainable products. That investment into research is paying dividends; PPG produces about 80 patents a year to protect its discoveries. Scientist at PPG facilities across the world are working to produce coatings that are more sustainable, more durable, safer, lighter, more energy-efficient, and in ever increasing numbers of colors – despite already having a range of some 300,000 different colors. And for the homeowner or designer they have the online Voice of Color tool, allowing renovators to visualize the PPG range in their own homes. The PPG Industries brand and product portfolio is wide and varied. Below is a list of the main market segments and coatings that PPG offers for each.